Forget posing with the new “It” bag or sunglasses du jour because, according to Instagram, the only accessory you need to post in your pics is a face mask. And it’s not just celebrities or beauty bloggers showing their masks some selfie love, it’s everyone. Seriously – there are nearly 2.5million posts with the hashtag #facemask. Enough said. But just because a mask looks good doesn’t mean it’s actually doing good, so we made it our mission at Savoir Flair to find the top masks that are as fun as they are effective. And that we did. Read on to discover our edit of the best masks for your face, and your feed. 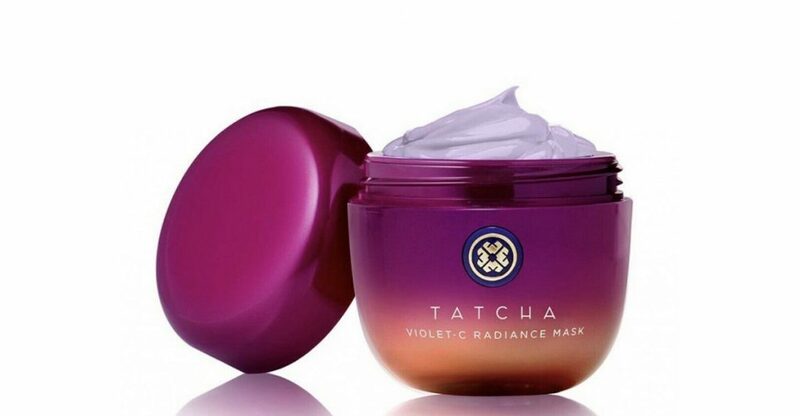 Bursting with Japanese superfoods, two types of vitamin C, and AHAs from seven different fruits, Tatcha’s ultra-violet offering is the secret to younger-looking skin in a flash. Its decadent, creamy formula contains a cocktail of anti-aging superfoods (including green tea, rice, and algae) to help improve skin texture and encourage the production of new cells, while a 10 percent AHA complex gently removes dull, dead skin to reveal brighter, more youthful skin. All that and a cool purple hue? Sign us up. For the ultimate super sparkly selfie, look no further than Glamglow’s glitter mask. A firm favorite amongst Instagrammers, beauty bloggers, and influencers (Huda Kattan included), it boasts all the benefits of the cult classic ‘Gravitymud Firming Treatment’ but with an added dose of dazzle. A targeted treatment that firms and defines the skin’s contours in just 20 minutes, it harnesses the powers of licorice and marshmallow leaf extracts to visibly lift, tone, and firm. Simply paint on, take a snap of your sparky skin, and peel off. The next best thing to plunging your face into refreshing, cold water? 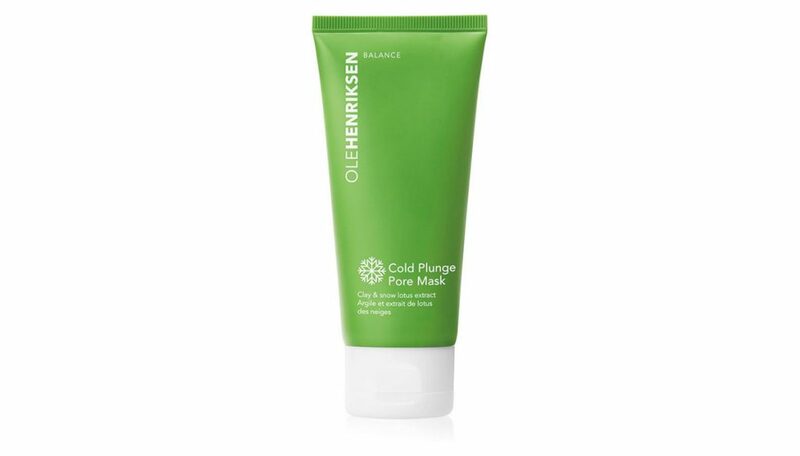 Ole Henrikesen’s ‘Cold Plunge Pore Mask’. Inspired by the Scandinavian beauty ritual of using natural, icy waters to boost skin, it detoxifies, reduces the appearance of pores, and controls oil thanks to antioxidant-rich botanicals that thrive in extreme cold climates. It also contains a ‘Green Fusion Complex’ of green tea, kelp, Irish moss, and eucalyptus to provide natural antiseptic properties and to ensure pores are perfectly clean and blemish-free. With its fresh scent, wonderfully cooling effect, and show-stopping turquoise shade, it’s about time you took the plunge. What do Irina Shayk, Chiara Ferragni, and pretty much every Victoria’s Secret Angel have in common? They all swear by Mimi Luzon’s gold mask. Not only is the international skincare expert one of the most in-demand names in beauty, her 24-karat pure gold masks are all over the Instagram accounts (and faces) of the world’s biggest celebrities, be it backstage at Fashion Week or during red-carpet beauty prep. Since ancient times, gold has been used for its beauty benefits – doing everything from fighting skin infections and acne to slowing down the natural decline of collagen production, stimulating cell renewal, improving skin elasticity, and reducing the appearance of fine lines, dryness, and wrinkles. 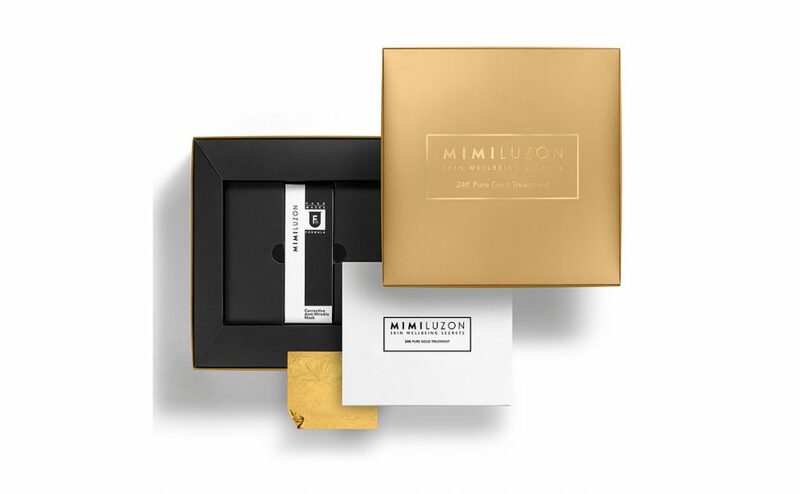 So if you want gorgeously glowing skin and a celeb-worthy snap to boot, you need to go for the gold. Tarte’s star ingredient is Amazonian clay – which you can find in its foundations, blushes, and even its mascaras. It’s therefore no surprise that its ‘Tight & Bright Clay Multi-mask’ is packed full of the stuff – working to tighten pores, hydrate, and brighten skin. The beauty of this dreamy duo is that it allows you to mix and match your mask according to your needs. Shiny t-zone or pesky blackheads blocking your nose? The purple mask is just the ticket, thanks to its naturally purifying Amazonian clay and gentle micro-exfoliants. Cheeks a little red or your complexion looking dull? The gold mask will come to the rescue with Amazonian clay, hyaluronic acid, and chamomile extracts, soothing stressed skin whilst hydrating and boosting brightness. The best part? You can practice your arts-and-crafts skills with your skincare, and snap a super cute selfie while you’re at it. 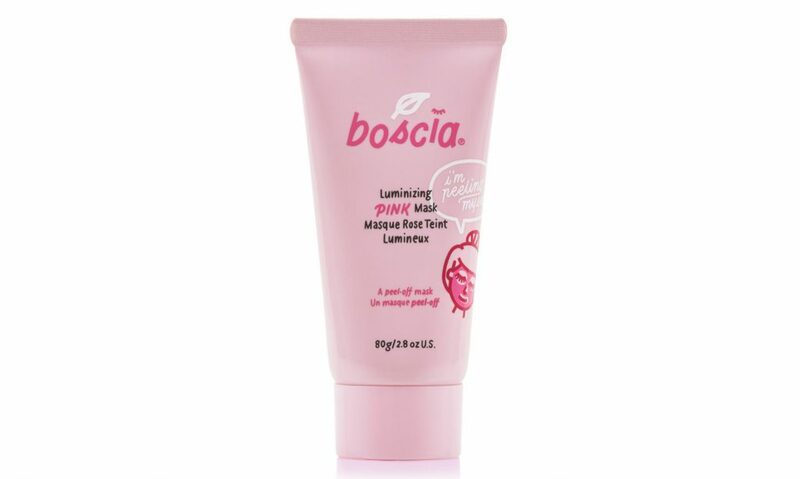 Nothing makes for a prettier picture — or a prettier mask — than a perfectly pink hue, which is why Boscia’s ‘Luminizing Pink Charcoal Mask’ is an all-round winner. It peels off (so no mess), is super easy to apply, and is rich in powerful antioxidants and vitamin C to brighten skin and protect against free radical damage. It also contains charcoal powder to absorb excess oils and leave the skin squeaky-clean, and mineral-rich calcium Montmorillonite clay to gently exfoliate and minimize the appearance of pores. This really is pure pink peel-off perfection. The only problem? It’s limited-edition. So, get your hands on one – fast. Whether you opt for a face full of flowers, cucumbers on your cheeks, or strawberries adorning your smile, Kocostar’s ‘Slice Sheet Masks’ are an Instagram dream and skin dream. 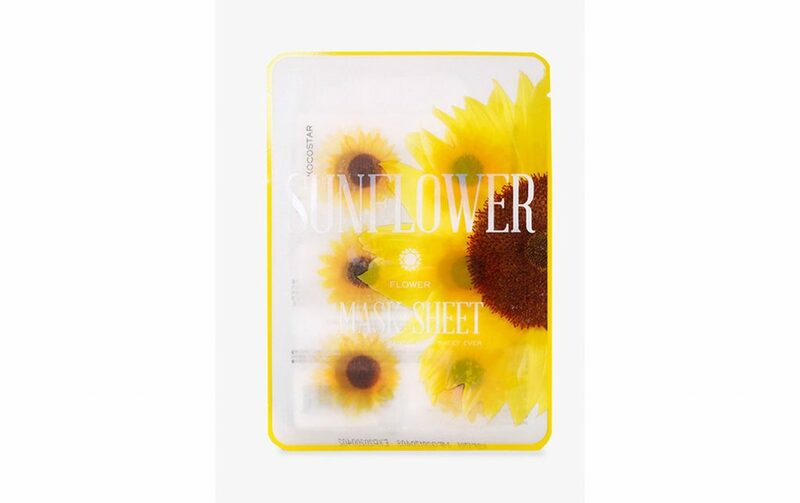 Inside each pack you’ll find individual slices of your chosen fruits or flowers, all full of innovative essences (ranging from firming and moisturizing to soothing and nourishing) to give your skin some serious loving. Use them all to create an all-over mask, or pick and choose where you place them for a more targeted treatment. Whichever look you go for, you’re also guaranteed a super cute post. Win-win.